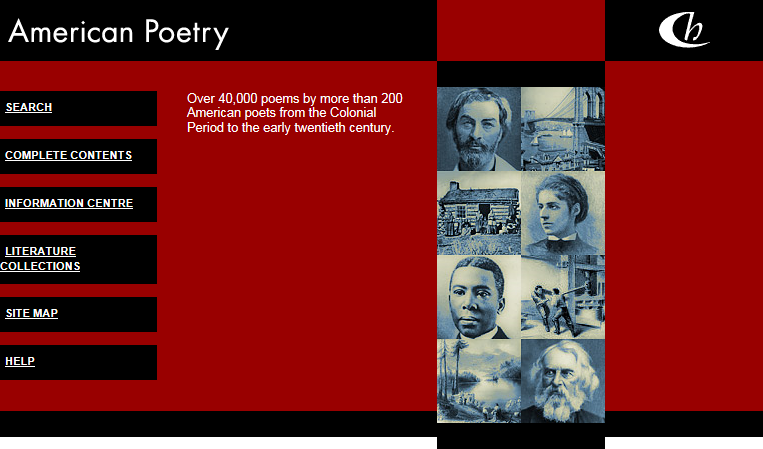 Full details of the contents of American Poetry are given in the bibliography. The entire text of each poem is included. Any accompanying text written by the poet and forming an integral part of the poem, such as dedications, notes, arguments and epigraphs, is also generally included. Volume-specific front and back matter, such as advertisements, prefaces, introductions, editorial apparatus, dedicatory epistles, biographies, glossaries and indexes is excluded.